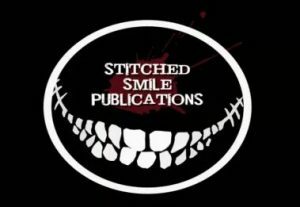 Pleased to announce that my First World War set story, ‘Trench Monkeys‘, will feature in a new anthology from Stitched Smile Publications due out in Spring 2019, entitled ‘Tenebrous Tales‘. As this one’s quite a way off yet, details are a bit scant at the moment, but will update site further once I know more. 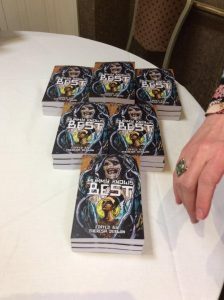 The e-book version of the recent Issues Of Tomorrow anthology from Indie Authors Press is now available for download at both Amazon.co.uk and Amazon.com. So if you haven’t yet had chance to check out this great collection of SF stories, why not head over to grab yourself a copy for the extremely reasonable present-day price of £2.99 / $4.16. 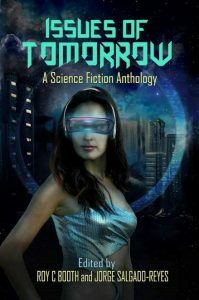 OUT TODAY is Indie Authors Press‘ future-themed anthology “Issues Of Tomorrow“, which includes my story ‘Broken Machines‘. A second SF piece from me in the last few months, this one tells the tale of Soriah, an abused pleasure droid taken in by an ageing off-world tinkerer, who helps her to understand what it is to be truly alive. Featuring a bumper collection of work from 19 different authors, all exploring the question of ‘What If?’, the book is available to purchase from both Amazon.co.uk and Amazon.com. Blood from the Mummy’s Tome? 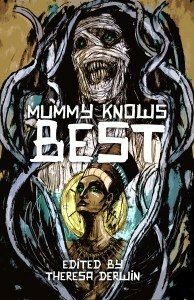 I’m pleased to announce that, after a brief revision, Terror Tree’s ‘Mummy Knows Best‘ anthology is no longer under wraps, having arisen once more on both Amazon.co.uk and Amazon.com to terrorize the living. 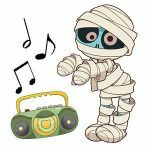 Featuring brand new work from fifteen authors on a central theme, the book houses stories of mummies from around the globe, including Egypt, Latvia, Britain, Japan and Peru (as well as a couple of tales from outside of the box as well). 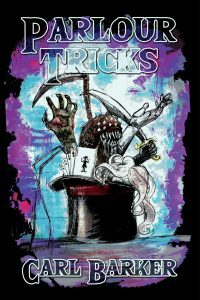 If you like new twists on a classic monster, then why not dig up a copy (just beware of the curse!). 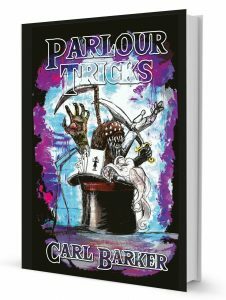 An in-depth review of all the stories collected in Parlour Tricks is currently in progress over at the Vault of Evil website, with eight of the fourteen tales covered so far. A warning though, for those of you who haven’t yet read the book, as the review does contain some spoilers! Indie Authors Press have recently posted an update about their upcoming SF anthology, ‘Issues of Tomorrow‘, which will include my story ‘Broken Machines‘. The book is now due for a slightly later release date in December, which makes it a great idea for an early stocking filler. More news to follow as it develops.